Offering over 10,000 m², Van Remoortel powered by Trends & Trade is the most complete lifestyle shopping centre in Belgium and the North of France. It is a trading zone offering the most diverse collections throughout the year. A place to spot the latest trends and where you can choose the items you want at the moment you need them and take them with you right away. Van Remoortel acts as the trade fair organiser and is on constant look-out for new market partners to make and keep the offer as attractive as possible. Those visiting from the market place are able to buy directly from the importer, designer or manufacturer. By combining various styles, ideas and collections, Van Remoortel aims to be a permanent inspiration to its visitors. The huge range is targeted at retailers in the Home, Gift & Garden sector and professionals in interior design. Long opening times (including Sundays) mean that you can drop in whenever suits you best. 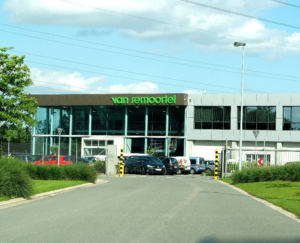 Van Remoortel is the most complete lifestyle shopping centre in Belgium and the North of France for professionals working in the Home, Gift and Garden sector. 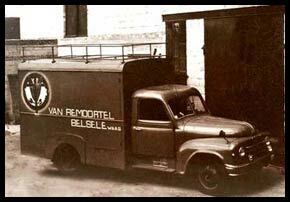 Founded in 1969, Ets Van Remoortel nv/sa soon became one of the largest ‘cash & carry’ companies in Belgium. 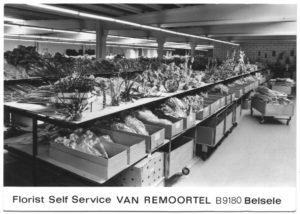 Designated as ‘Florist Self Service’, we originally focused on the world of floristry. The company burst at the seams and grew extensively over the years. In time, the focus extended from purely florist-related articles towards decorative articles. With the ever-increasing range and continued intention to grow, a new location became necessary. In 2006 we moved to our current location – close to the E17 motorway. Since then, we have been able to offer our customers a trading surface of over 10,000 m² featuring all the latest innovations. In 2016 we took another step in our development. On 1 October 2016 we teamed up with PW Markets (owner of Trends & Trade Venlo and TICA) in realising an innovative cash & carry concept with around 50 (inter)national manufacturers/importers in the Home, Gift & Garden sector, based on a shop-in-shop approach. The offer has also been extended to include an additional 1,000 m² shop-in-shop Fashion suppliers. Housed in a separate area, around 25 businesses offer their wares in the world of fashion accessories, clothing, jewellery and care products. Nearly 50 years on, we are still bursting with ideas to offer our customers an even greater range and better service.